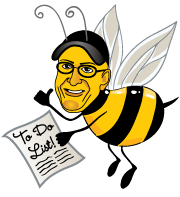 Your Honey-do List Guys Inc. is a Handyman Service that deals with residential, commercial and strata properties. We specialize in To-do lists. We are a Victoria Company. We do work in all the surrounding areas. With over 25 years of construction/handyman experience there is very little we can't do. Below is a list of the services we provide. You write the list... we'll get'er done! !